Reserve early for the 2019 water slide season. Be sure to check out all the photos and videos of this Hippo Water Slide below, It's awesome!!! Make it even better by adding a foam machine to the Hippo water slide. Just ask to make it Foamy. This is the longest inflatable water slide available anywhere in Colorado or California. 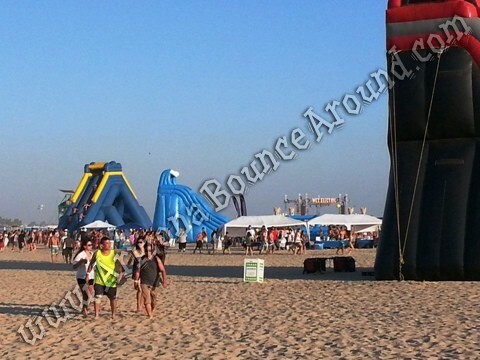 We have actually rented this giant inflatable water slide from California to Florida and almost everywhere in Colorado. If you're looking for a huge WOW factor or crowd draw for your event than this giant inflatable water slide is sure to impress everyone. Looking for something taller and faster? 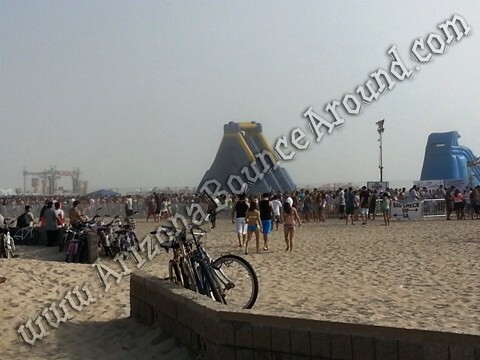 than check out the worlds tallest inflatable water slide the Skyscraper standing 51 feet tall. Nothing ever made for the rental market even comes close to the Hippo water slide and it makes regular inflatable slides look like toys. This giant water slide can be seen from miles away and the view from the top is simply breathtaking. This slide is rented year after year for parties all around Colorado and neighboring states for City, School and company parties. Once you have this Hippo slide at your event things will never be the same. This giant Hippo water slide is unmatched by anything available in a portable water slide and makes a lasting impression at your event. 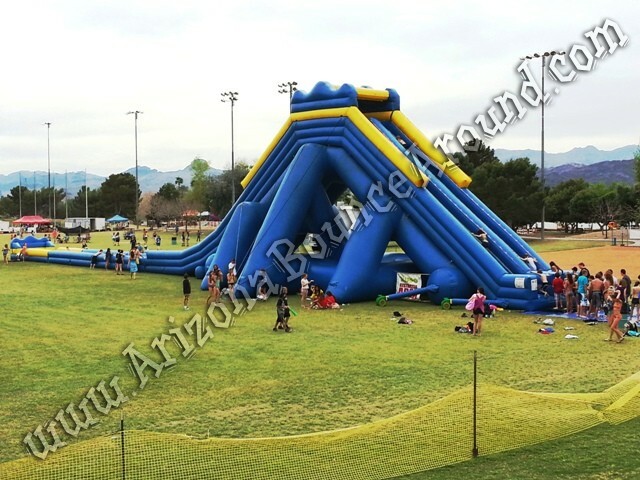 This giant inflatable water slide can handle large attendance events with ease and we have lots of other water slides and summer water games to complete any size event or budget like a dunk tank. 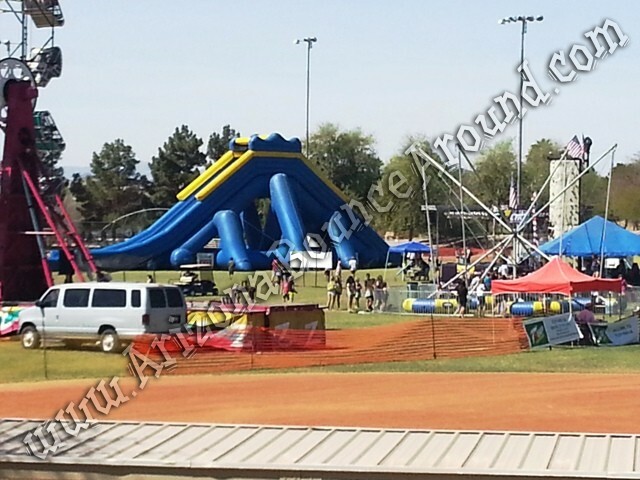 We have a professional event planning team ready to help plan and layout your summer party including CAD designed layouts, portable water tanks, generator rentals, light towers, portable restrooms, event staff and security complete with a high limit liability insurance policy for school, government or city requirements. 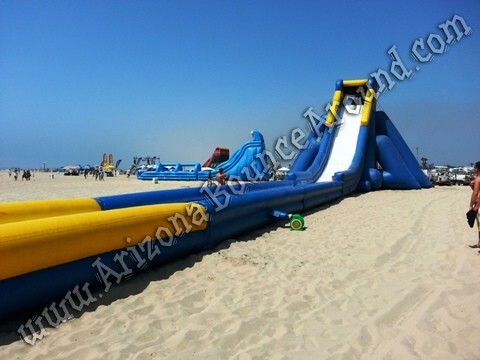 We are the only party rental company in Colorado or California certified in Hippo Water slide setups by the manufacture. Call us today @ 719-531-7510 to get the party started. 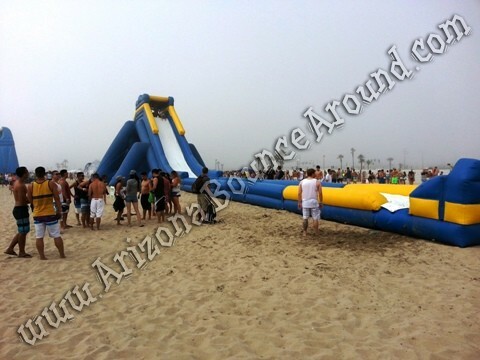 long distance making it the perfect giant water slide for parties and events.